Because my internet connection was giving me stress last night, this issue of 5 Things come to y’all a bit late- being finished up on my lunch break instead of watching the latest episode of You’ve Fallen For Me– the things I give up for you SB readers… sleep, my crack drama for lunch. Yoo Jae-suk’s little Secret, 10CM to forgetting you, an Agreement is made, Be Mine INFINITEly, and I Will… Forget You… These are the 5 Things that happened in Kpop last week that I think were a little bit more special than the rest. The Nation’s MC Yoo Jae-suk is joined by the girls of Secret in the latest CF for Nene Chicken. I find the name of the company funny because in Hawaii, a Nene is a goose. Anyways the girls of Secret are miniature in their miniskirts and oh so cute in the CF, this kind of sweet I can handle- especially if it’s only for twenty-three seconds. Check it out. I bet Sunhwa was happy to be working with Jae-suk. 10CM is one of those K-indie bands on my radar because they are just so good. Loved this new release by them, their interpretation of Kim Kwang-seok‘s “With The Heart To Forget You” which appears on the Kim Kwang-Seok Tribute Album. I love the simplicity of the song, the beautiful guitar playing, and the rawness of the vocals. The original by Kim Kwang-seok himself is pretty awesome, too- which only goes to show why some 15 years after his suicide he and his music are still remembered. In reports on the 20th, it was revealed that an agreement was reached between Big Bang‘s Daesung and the family of the car accident victim Hyun. 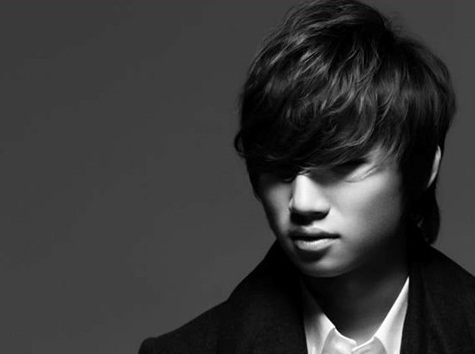 The settlement between Daesung and the victim’s family was reached on the afternoon of the 19th. This was great news to hear, especially when 10 days earlier there were reports that the victim’s family said that YG Entertainment‘s attitude in settlement negotiations were making it difficult to reach an agreement. The family was happy to have reached an agreement and said that they didn’t wish to pursue charges against him. Daesung isn’t totally out of the woods as Prosecutors are the ones to decide whether or not he will face any kind of criminal charges, but due to the circumstances of the case and now the settlement with the deceased’s family- it does make his situation seem that much nearer to a favorable conclusion. Daesung still won’t be doing any activities until at least the end of the year, but there is hope that Big Bang will return as a five sometime next year. 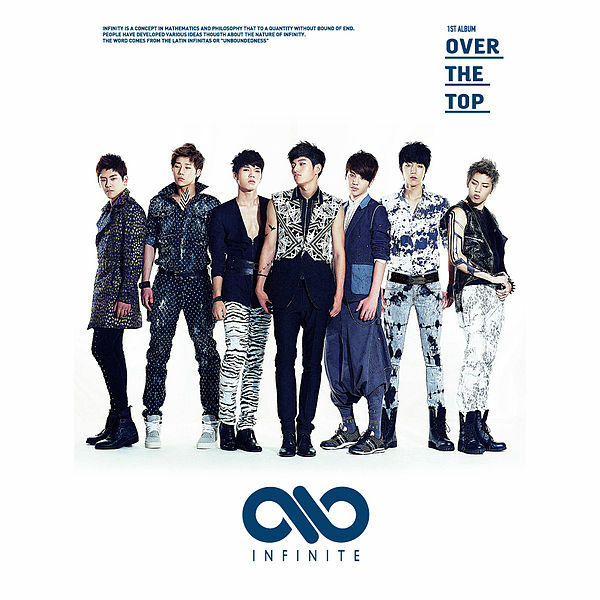 So was INFINITE‘s first album Over The Top? Well… you know I love INFINITE and think they are definitely one of the most talented young groups out there, but their first full length album was just average for me. The album showcased 10 songs: 1. Over The Top (Intro), 2. Be Mine (내꺼하자), 3. A Third Part (3분의 1), 4. Tic Toc, 5. Julia, 6. Because (Sung-gyu solo), 7. Stop The Time (시간아 Woo-hyun solo), 8. Amazing, 9. Crying ft. Baby Soul, and 10. Real Story. There are definitely some bright spots: “Be Mine” is a solid title track although not as immediately impressive as “Come Back Again” and “Before The Dawn,” but it’s growing on me; “Real Story” is a gem and I wouldn’t be surprised if it’s their next promoted song; the solos by Sung-gyu and Woo-hyun were good, and “Amazing” is a nice uptempo song. My biggest criticism of the album isn’t that the songs aren’t good, most of them are decent and at least the 10 songs on the album are all new and not remixes and instrumentals, it’s just that most of the songs are all too similar- all the ones in the middle kind of blended into each other for me. In my opinion a good album will have a nice mix of songs and Over The Top‘s selection was just not diverse enough. The mixing and sound editing on some of the songs like “A Third Part” were also not as crisp and clean as much of their previous work. The MV for “Be Mine” was also released and features the boys in black and white except for Sung-jong who’s in color which makes sense because he is the most ‘colorful’ of the group. In the MV they ask their love to trust in them and that they will protect her and their love. While I don’t always get the stories behind INFINITE’s MVs at least the MVs are always relatable to the song in the tone and color of the MVs. As always the MV is shot beautifully and the cinematography and special effects add a nice touch. One of the other reasons why I like INFINITE so much is their live performances. They are always pretty much perfect with great vocals and tight choreography, their powerful live performances is what really set them a part from the rest for me. Check out their comeback performance on last week’s Inkigayo. Yup, INFINITE doesn’t fail to impress me with their lives. It looks like they are finally picking up more recognition in the ROK for their talents, that or there were a lot of really loud Inspirits in attendance. Anyways, good effort INFINITE. Has a song ever matched an episode of a drama better? C.N.Blue’s song “I Will… Forget You…” was the theme of You’ve Fallen For Me‘s episode 7 and a better fit in a Kdrama, I’ve maybe never known. After believing that her new found love of Lee Shin is a losing battle when he calls her on it in such a mean way and then she sees him in the arms of his crush Yoon-soo- Kyu-won resolves to forget her feelings for Shin. When she auditions for the lead in the 100th anniversary’s show she picks the song that has a theme of love that she can totally relate to- the same C.N. Blue song “I Will…Forget You…”. Ah, I totally died at then end of episode 7. So good. Little does she know that the event that broke her was probably the event that sealed the deal in the end of Shin’s feelings for Yoon-soo. Boys, they’re sooo slow sometimes. Not that Kyu–won was so bright either when all the signs from Shin were there indicating that he might like her a little bit more than she thought, but she was hurting and trying to be all cold and noble, right?